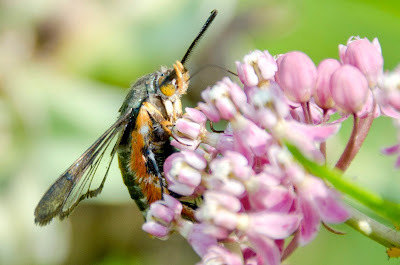 I found this stunning insect among the wildflowers on Pier Six in Brooklyn Bridge Park. It's a squash vine borer moth, Melittia cucurbitae. Click to enlarge. 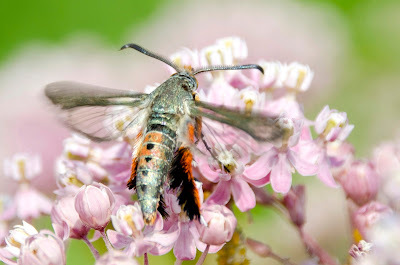 It is a day-flying clearwing moth with see-through hind wings. 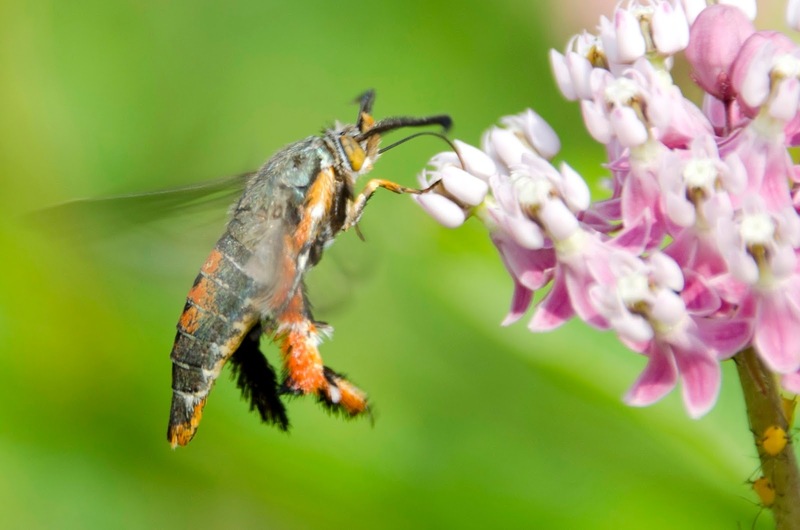 The squash vine borer moth gets its name from its larval stage; the larvae are vine crop pests that eat the stems of squash, pumpkins, gourds, cucumbers, and melons. Adults emerge from their cocoons in summer (I saw this one on July 9th) after having spent the winter in the ground. Adult females lay eggs and the larvae that hatch from them burrow into stems where they eat and grow. Eventually the larvae burrow into the soil and spin cocoons. We see them again as adults the following summer. Gotta love those shaggy leggings!